Should there be a maximum age limit to race in F1? The minimum age to race in F1 is 18. Joe wonders if there ought to be a maximum age limit as well. In my computer, I have a file each year entitled ‘Driver Age Order,’ which I find very useful from time-to-time – to remind me of the age of the Formula 1 racers at the start of each season. 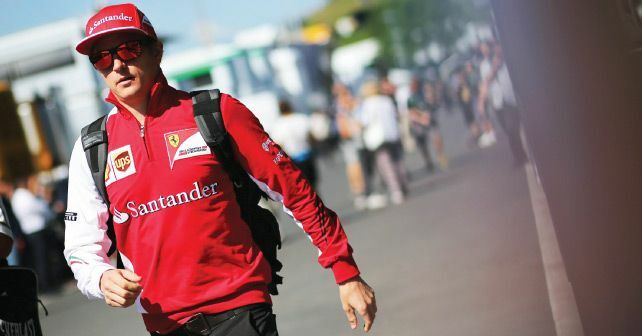 Since 2014, the list has been headed by Kimi Raikkonen – who just celebrated his 39th birthday and has recently announced a new two-year deal, to get him to his 41st birthday in 2020. There’s no maximum age limit in F1. If you look at the record books, you’ll find plenty of F1 drivers in their fifties, back in the early years when the physical demands were less severe. But, if a driver is competitive and still has sharp reflexes, there is nothing to stop him (or her) going on-and-on. The problem with this is that, in the age of super-safety, the accidents that used to take place are a thing of the past and so the driver pool is a little more stagnant than it used to be when replacements were needed often. Thus, the same old names keep appearing for years, even if they’re not winning. Experience is highly valued. If you look at the top drivers in F1 history in terms of race starts, you find only four World Champions, while the Barrichellos, the Massas, Patreses, Trullis, Coulthards and Fisichellas just kept plugging away. Is it good for the sport that older drivers stick around longer than they perhaps should? Would it not be better to have exciting youngsters arriving all the time? It’s a tough question. Having said that, today there are six drivers over 30. At the end of the season, Fernando Alonso will disappear, but there’s a chance that Robert Kubica will get another shot and will slot in to become the second oldest driver on the grid in 2019. That would be a great story, of course, but it would use up a seat that might have otherwise gone to a youngster. These days the FIA has imposed a limit on how young one can be in F1, with no-one allowed to race in F1 until they’re 18. Having said that, if all goes the way it looks to be going, there will be 10 drivers under 25 at the start of next year, and three of them will be in the top six cars. There’s a new wave of French-speaking drivers – Charles Leclerc, Esteban Ocon and Pierre Gasly, who have been friends and rivals since they were children. The bad news is that fate has played a fast one, and Ocon may have to sit out a year in 2019 – which is just not right, given his very obvious talent. It looks like there could be three young British drivers as well, with Lando Norris at McLaren, George Russell at Williams and Alexander Albon at Toro Rosso (the last-named is still to be confirmed). All of this is very promising for those who seek to sell the sport to a new generation of fans – something which is required, as the average F1 fan is a middle-aged man. F1 is trying to address this by getting into e-sports and having virtual F1 drivers racing one another in virtual Grands Prix. I struggle with that concept, not on the basis that the e-drivers are not talented, but rather because the element of risk is removed from the competition – and risk is a key part of F1. If you simply hit reset when you screw up, you’re not the same as a driver who might end up dead or injured. I fully understand that society does not allow such things in this day and age and so it is probably best that safety is tightly controlled, but this does have an impact on the number of people likely to watch the racing. Danger gives the sport that extra frisson. The thing that worries me is that, 10 years from now, will we still have the same generation in the top cars? And will future generations be stymied by having nowhere to go? I don’t think that an upper age limit is a good thing because that is, no doubt, ageist and so not acceptable, but is there anything wrong with having a time limit on an F1 career? Let us imagine that from the day a driver first races an F1 car in a Grand Prix, he (or she) has 10 years to make a mark, after which they can no longer qualify for a super-licence and must make way for rising stars. Is that fair? Will it have any negative impacts on the sport? Obviously, F1 careers are all about having the right car at the right time and not everyone can get that, but kicking round waiting for the right machinery rarely proves to be successful. Yes, it happened for Jenson Button with the Brawn, but the really fast guys: the Hamiltons, Vettels, Alonsos and Raikkonens all made their mark quickly. With a 10-year rule, the ability to create records might change a little, but then long careers have skewed the record books in any case. I cannot say that I know the answers, but I do think that it’s worthy of a discussion. Is it even possible? Would not such a rule be struck down by lawyers? If there’s a minimum age limit, why could there not be a maximum age limit?